Christmas is at home this year. Home is where the heart is. Home is also the place where friends and family work all year to support themselves and contribute to their community. Canmore's Christmas Artisans' Market is our local Christmas market in this beautiful Rocky Mountain town. It is the market where we have our Chocolatier, Coffee Roaster, Potter and Woodcarver. 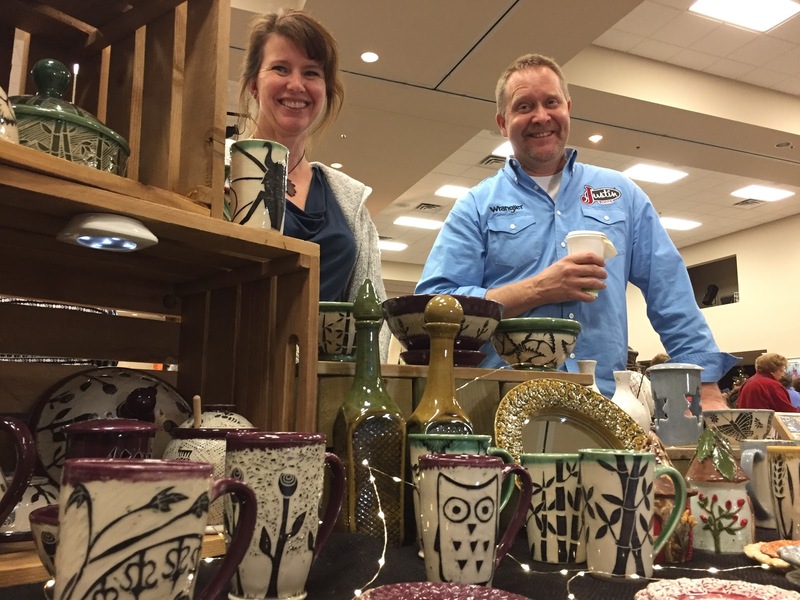 Eighty local and visiting crafters attend the two-day market each year, which is in its 21st year. The Market was created in 1996 as a fundraising event for the parent-cooperative Canmore Preschool Society. It has been a successful annual event ever since that takes place on the third weekend in November. Vendors come from Invermere and across Alberta to spend the weekend in the mountains with Canmorians. There is a high standard for goods at the market, and Artists and Artisans are carefully selected for their creativity and craftsmanship in addition to balancing the variety of offerings available at the market. Because it is a local market, Bow Valley residents receive preference. All goods are handmade and sold by the person who made them. 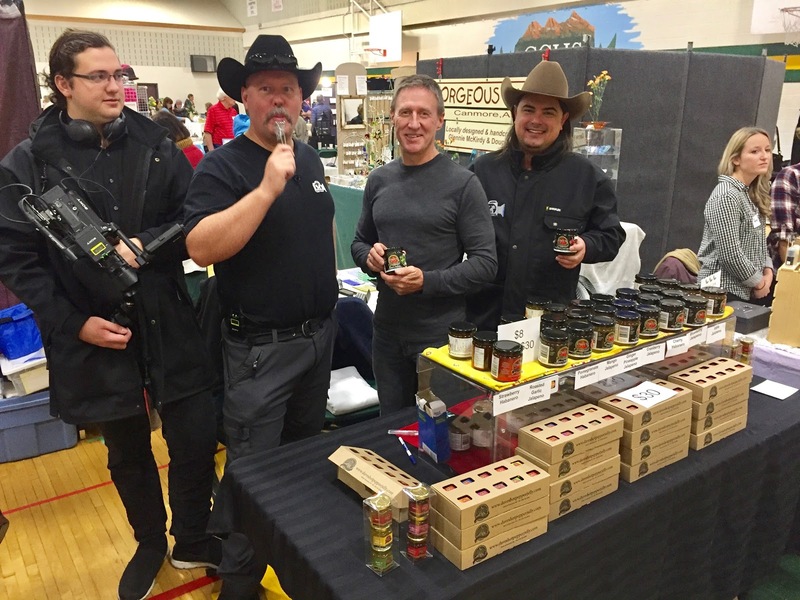 The market continues to be the largest annual fundraiser for Canmore Preschool and takes place at the Canmore Collegiate High School. We attended on Sunday morning, the second day of the market. We were due to fly out to Auckland New Zealand the afternoon for our last visit to the Islands. We just couldn't pass up an opportunity to quickly check in on our friends. Every possible space was filled with the creativity of another artist or producer. Some were at their usual spots and others were newcomers. It included many familiar local and out of town faces from previous years. The market is almost like a giant reunion for crafters. Vendors become friends as they attend market after market, year after year. They connect and take stock of their year's achievements. It is also an opportunity to make one more last sale before packing in for the Winter, and a welcome break with family and friends. Attending the market is not so much about shopping as it is an opportunity to visit good old friends. That is why a local market is such an attraction for us. It brings people together. We love visiting our markets and tell the stories of the people that make the market a local market. Our market. Thank you for supporting our market indulgence. We appreciate you sharing our content and rely on your continued support and sponsorship in 2017 when we will revisit our familiar places, meet with folks, friends and add to our portfolio of market coverage across Canada and New Zealand. We do it because our local markets are the souls of our communities. It is where businesses ultimately begin. It is where we invest in ourselves. The Two Cowboys has several coffee sponsors. Two of them are among our favourites because they were the first to buy into our approach for promoting local producers. We have one on each side of the Pacific Ocean. 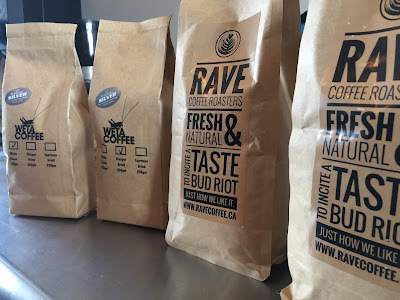 Weta Coffee in Auckland New Zealand and Rave Coffee Canada in Canmore, Alberta. Because we travel a lot between New Zealand and Canada, we decided to embark on a bit of a coffee exchange between them. 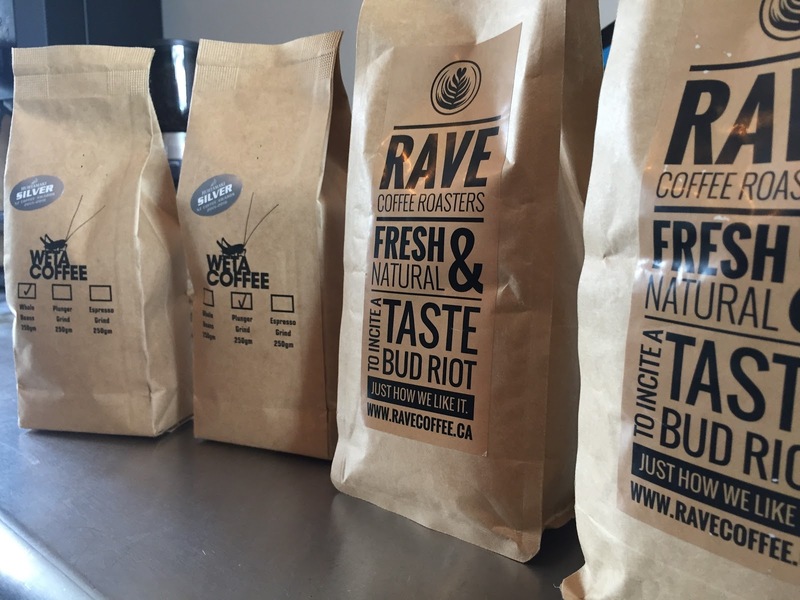 Dean from Rave Coffee asked us to deliver two of his favourites to Miles and Sandra. His signature blend, and also a Guatemalan Roast. I asked Dean why he is sending a single origin all the way to New Zealand. Surely, they ship green beans to New Zealand from Guatemala? His reply: "All the talent is in the roast." 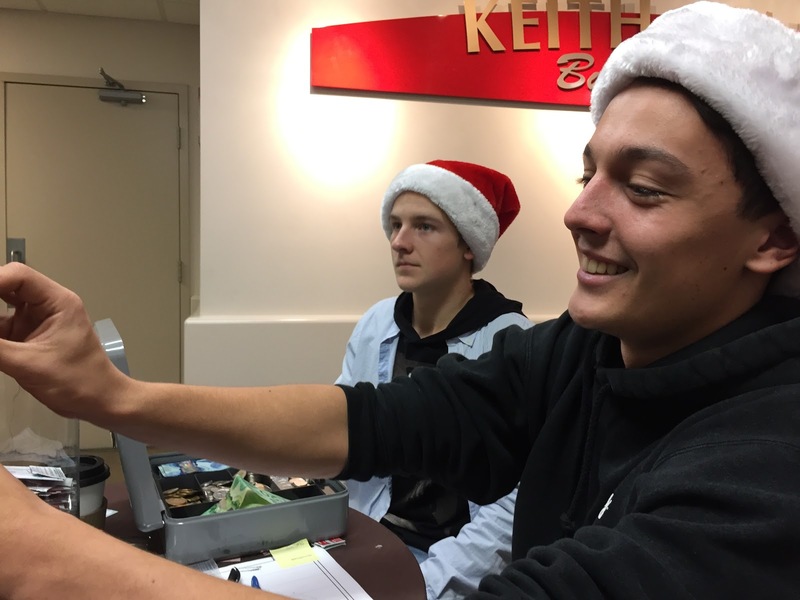 We checked in with Miles to deliver the package. Enjoy the video. As you probably know, New Zealand is about to embark on their summer holidays. In Canada, we like ice coffee in summer. Kiwis are no exception. When the days heat up, they are fond of their cold coffee too. Miles introduced us to Weta Coffee's Cold-Brew. 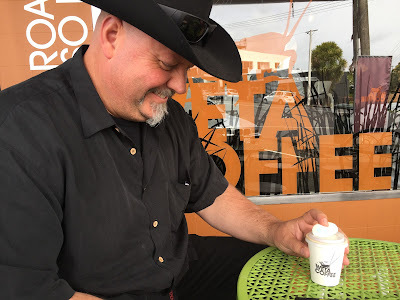 No, it is not the standard shots of espresso over ice. This is actually a sophisticated approach f0r making a really amazing drink. 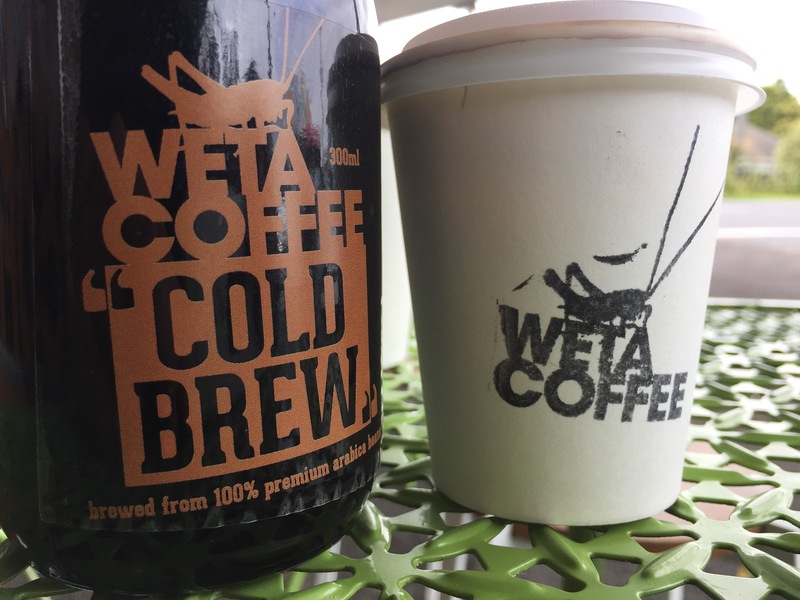 Cold-brewed coffee is ground coffee steeped in cold water for up to 24 hours and strained. Iced coffee is generally brewed hot and poured over ice. There is a distinct difference in taste between the two methods. Ice coffee is done fast on the espresso machine and is quite strong because it is will get diluted by the ice later. Cold-Brew uses a process of infusion to extract more subtle flavours from the roasted beans. The result is often sweeter. Once it is made it is bottled and refrigerated to be consumed within 10 days. You can add ice to it, milk, and sugar. However, because it is already diluted it will not be as strong. It will make for a refreshing light drink intead. If you are ready for the Two Cowboys version then here you go. Quantities need to be adjusted for the time-of-day you plan to drink your coffee. Early morning, take the coffee and save the Vodka for later. After lunch, start with a little bit of Vodka and as the afternoon progress increase the ratio while decreasing the milk. Early evening, leave out the milk entirely and adjust the coconut and vodka accordingly. Bedtime, take the Vodka and save the coffee for the morning. If the above sounds impossible, then you may probably be right. It isn't easy being the Two Cowboys. You will have to travel to do this recipe right. Come on the road with us for the privilege of enjoying the above drink. It is an amazing adventure that span oceans and cross continents (and the odd Island) with good friends like Dean, Sandra and Miles. Here's the confession. If you don't know already, I have two girlfriends. Caipirinha and Margarita are both breathtakingly beautiful. They make my world a better, happier place. You need to be careful to pick a favourite. If you do, don't let them know about each other. If I have to pick one, it will be Margarita (Please don't tell Caipirinha). 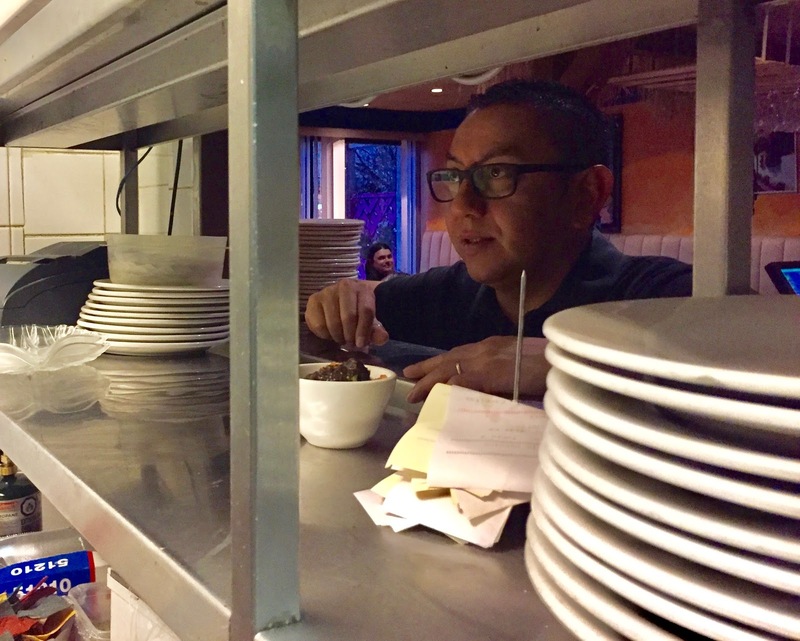 Aroma Mexican Restaurant, an authentic Mexican establishment in the Rocky Mountains of Alberta, that is owned and operated by Jose Castillo. A little bit of Mexico in the snow. Margarita and my happy place. 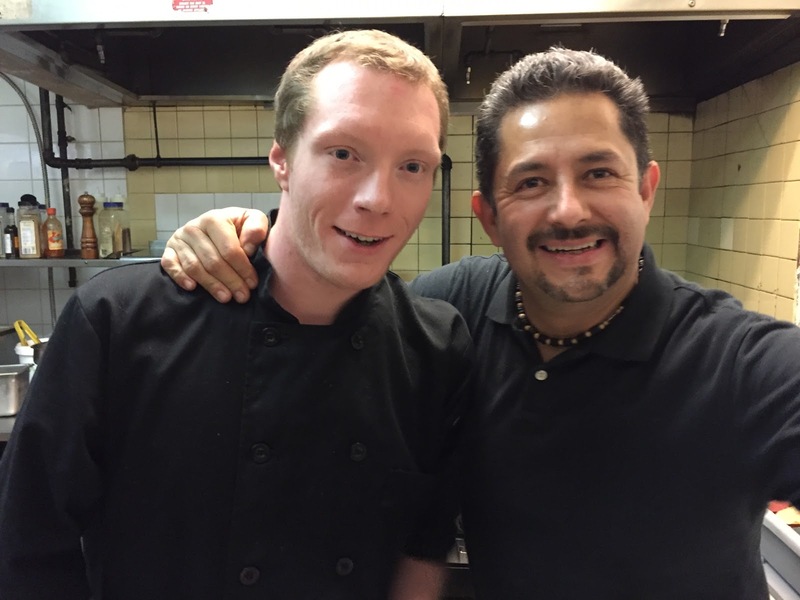 Jose and his maître d', Rafael transports us weekly to lapping shores on the Caribean sea, filled with flavours and aromas from his homeland. Mole verde, salsa verde. Pick any verde, for your little bit of Mexico in the mountains. Above all, remember to meet Margarita. She will take your breath away. Canada is a land of many peoples. Immigrants from all over the world make it their new home. The Castillo family from Mexico journeyed via Montreal to finally settle in Canmore. They operate their very own authentic restaurant on Main Street. They are now Canadian. With them came their traditions of authentic Mexican cooking and a wicked understanding of the perfect Margarita. 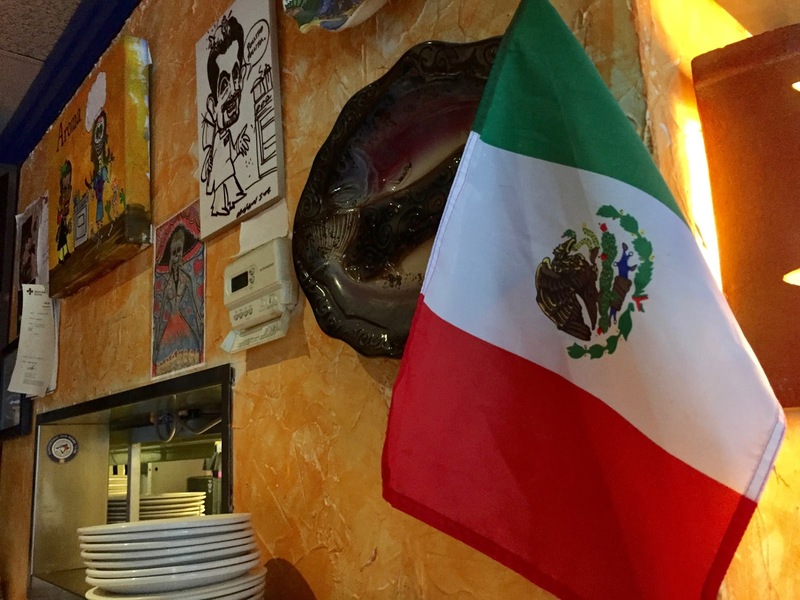 Canmorians gained a little bit of Mexico without having to make the pilgrimage south. We can have our weekly dose of the good times in measured and responsible quantities, right here at home in Canada. Ask for Jose, the owner, operator and head chef. You will see a head peak out from a hole in the wall with a view to the kitchen at the back. This is where Jose will be busy stirring his mole on the stove, which is Mamacita's recipe from way, way back when. 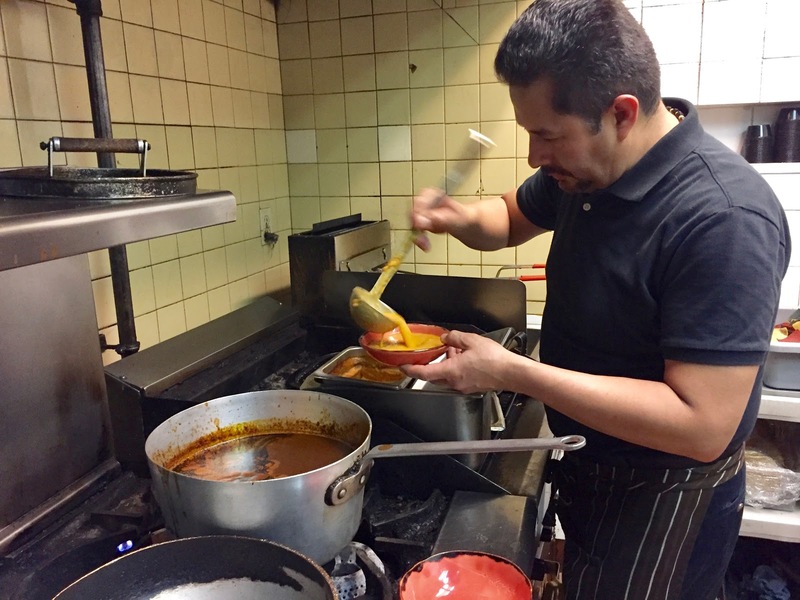 The restaurant is authentic because, the owner, which is Mexican, cooks his favourite home-made dishes for his favourite customers, himself. Aroma is often filled to capacity. Yet, you will always find one table marked "reserved". That is the table that is kept for the surprise arrival of special guests. Friends of Jose and Rafael. Loyal and long-standing customers. Let us just say, we've never been turned away. 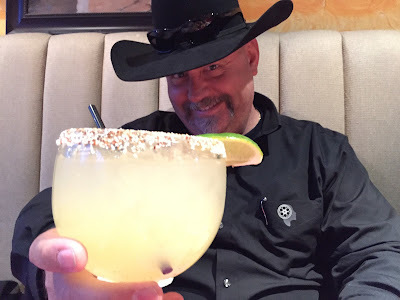 "Jose, thank you for introducing me to Margarita. Thank you for bringing Mexico to us in the mountains. Thank you for always treating my family, my guests and I with the very best in food, hospitality and friendship." P.S. 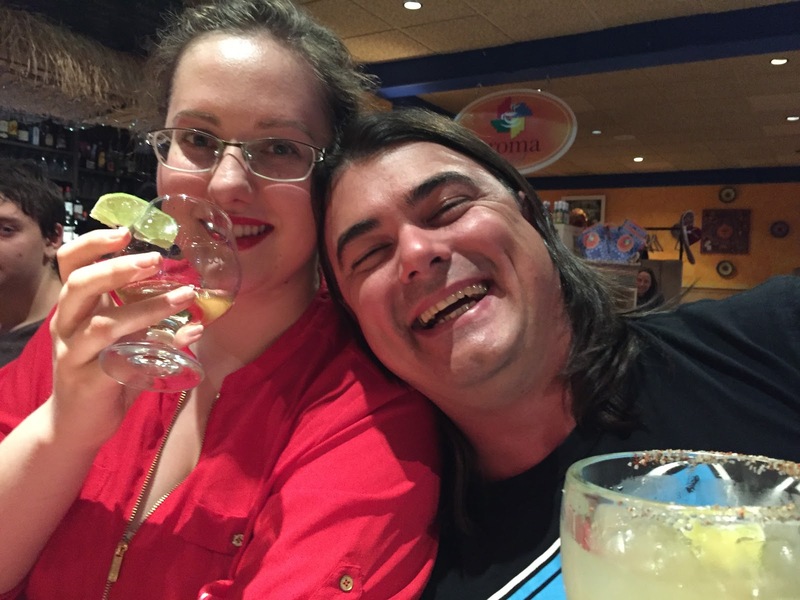 Thank you for sharing your favourite Mezcal with me. Where in the world can you drink the water from six glaciers? High in the Rocky Mountains of Alberta, there is a place that many have on their bucket list. It makes the list for spectacularly close wildlife encounters, and breathtaking snow capped Rocky Mountain scenery. Banff and Lake Louise is this portal to heavenly skiing, hiking and only breathing. It is a place for all seasons that offers spectacular dining, luxury accommodations and foto-finish opportunities around every corner of Spring, Summer, Fall and Winter. There is another reason to add Banff National Park to your list. We thank Park Distillery for that. 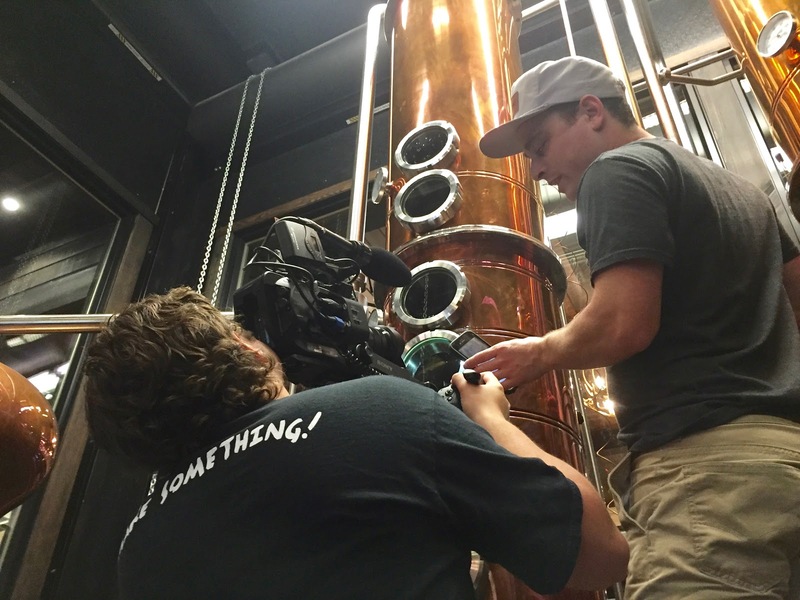 In 2013, the Alberta Government changed the rules to make room for "craft distilleries". 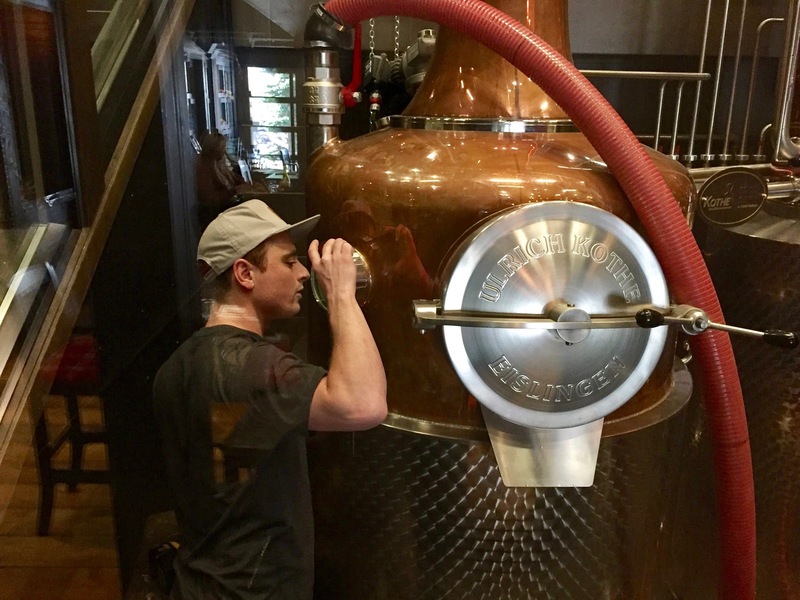 Like craft breweries, these producers distill unique one-of-a-kind small batch elixirs, which they share with discerning local clientele. They produce the early and easy money makers like Gin, Vodka and Rye. Whisky takes time to mature and is scheduled for later. 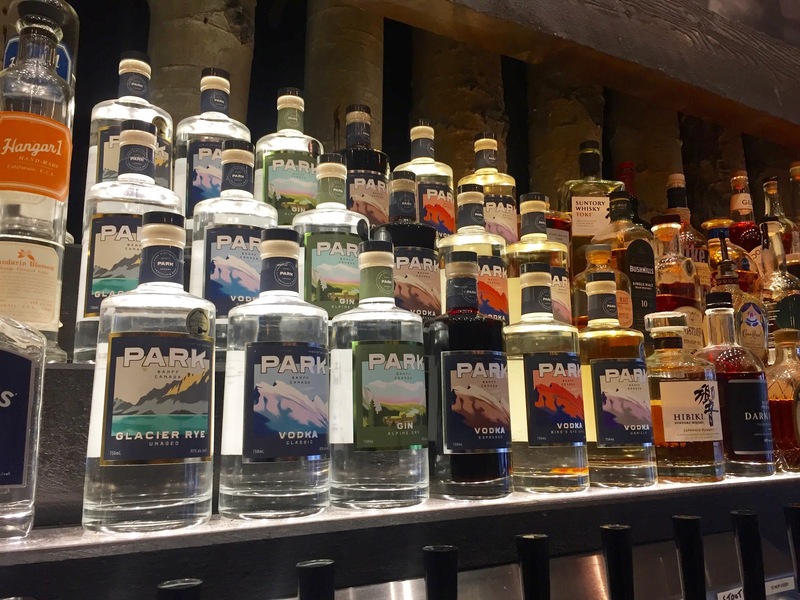 With local knowledge and relying on long-standing associations and friendships, you may be able to score a snort of the latest flavour Gin or Rye. 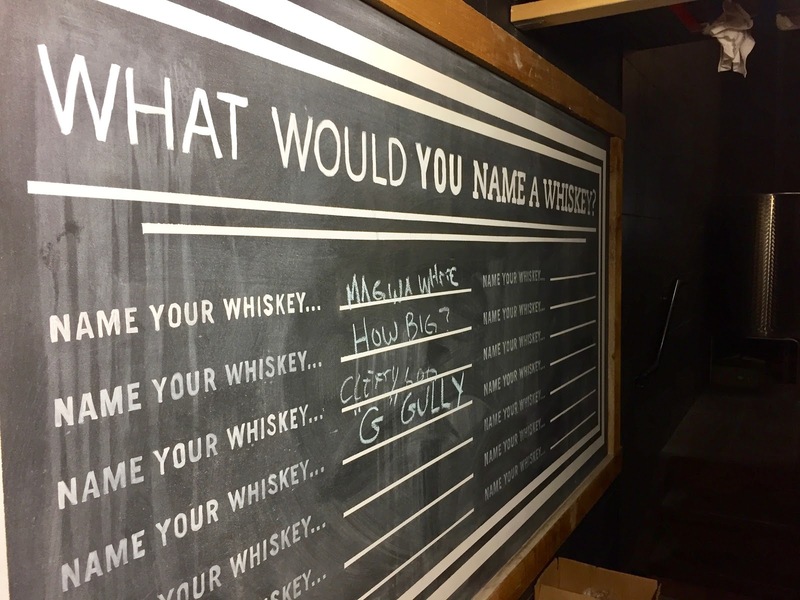 If you are in excellent standing with the Master Distiller, you may get your name onto the secretive "Whisky list". Being on this list merely offers a chance to bid at a future auction for something to be released three to five years from now. Even this is no guarantee of success for getting a bottle of the first editions of Alberta's Craft Whisky. 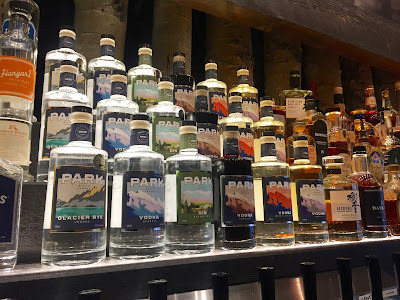 Park Distillery took it one step further by placing their Still in the middle of Banff Town, on Main Street, in a large three-floor world-class restaurant. It is the location in the National Park for hand-crafted spirits, inventive cocktails, paired with mouthwatering Alberta produce from a top-shelf menu. When I pushed Matt Hendriks, Master Distiller of Park Distillery on the reason for his success, he affirmed modestly. "It is in the water. Six glaciers, fresh, straight-up, no twist and pure as the air you breathe water is used to distill Alberta's finest barley and botanicals." I think he is too modest. After 13 years as a prize-winning cocktail bartender, Matt knows his Gin from his Vodka and his Lime from his Lemon. He is also a pathological learner. 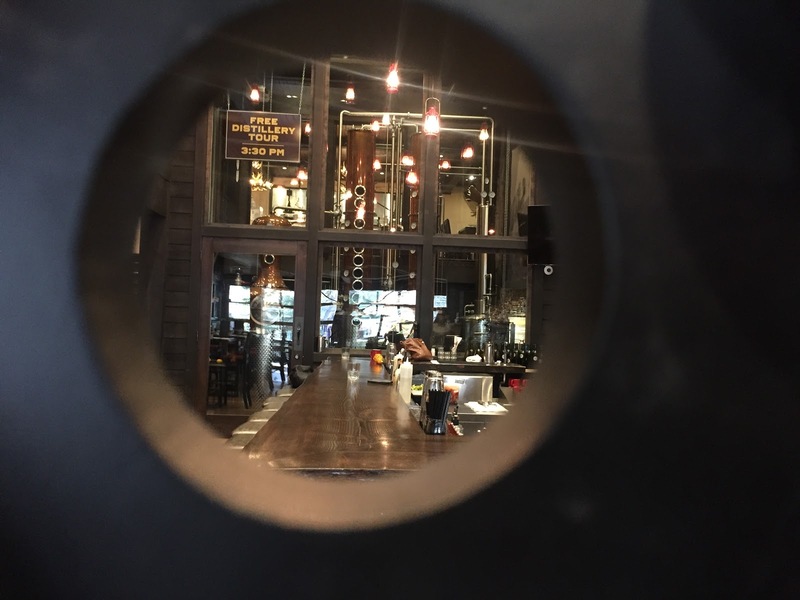 With half a chance to embark on his next adventure, he took to distilling like a duck takes to water. Frankly, he is the kind of guy with the energy and drive that will make a success of anything that peeks his interest. It has been one great and successful journey since for the young entrepreneur, and we hope it will continue for quite a while longer. In his words. "If I get my whisky right, I will still have a chance to drink my thirty-year-old, when I am sixty-five." We congratulate him on his success and hope to have an opportunity to share it with him for a long time. In the meantime, we have another excuse to travel to downtown Banff. 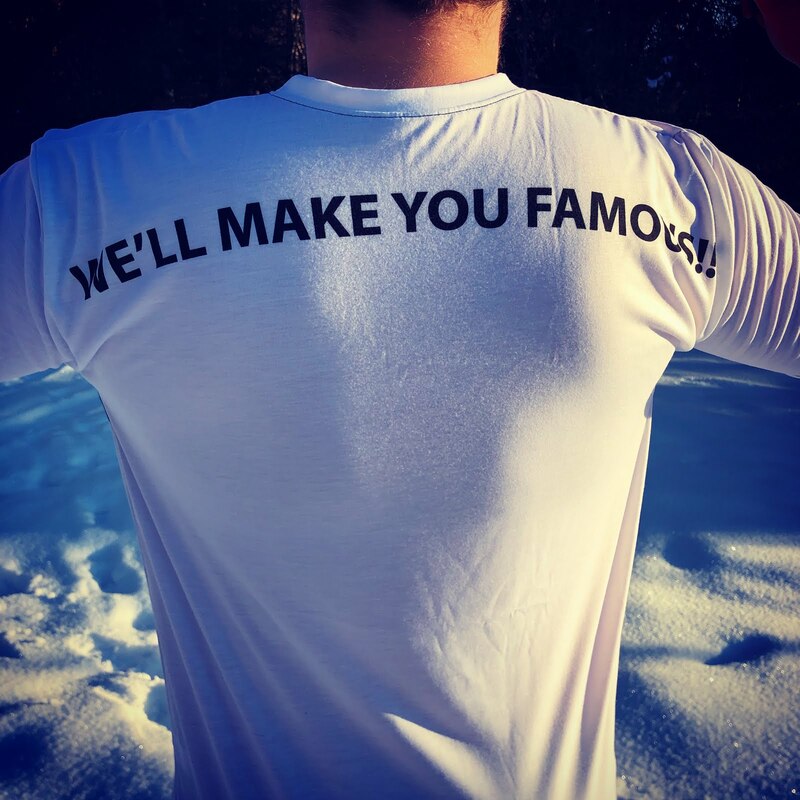 We are a content company. We earn our livelihood from producing great content about inspiring people and their stories. We use Patreon to help us earn from our work. It allows us to have a closer relationship with our collaborators and grow our audience. If you Sponsor us on Patreon: https://www.patreon.com/twocowboys or Donate to our cause on GoFundMe: https://www.gofundme.com/twocowboys we can do a lot more. Rudolph is sleeping. 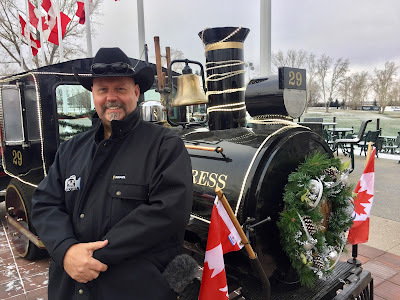 That is what we were told when we visited the Spruce Meadows Christmas Market for 2016 on opening weekend. All the other Reindeer were there. They were getting ready for the annual Christmas Night marathon with Mr Clause. Rudolph may not be disturbed. He is preparing in his way. By meditating at Spruce Meadows. There isn't much snow around Calgary, Alberta yet. The temperatures are dropping for sure and that means winter is here. It also means that Christmas is near. The market at Spruce Meadows is one of the biggest in Alberta. 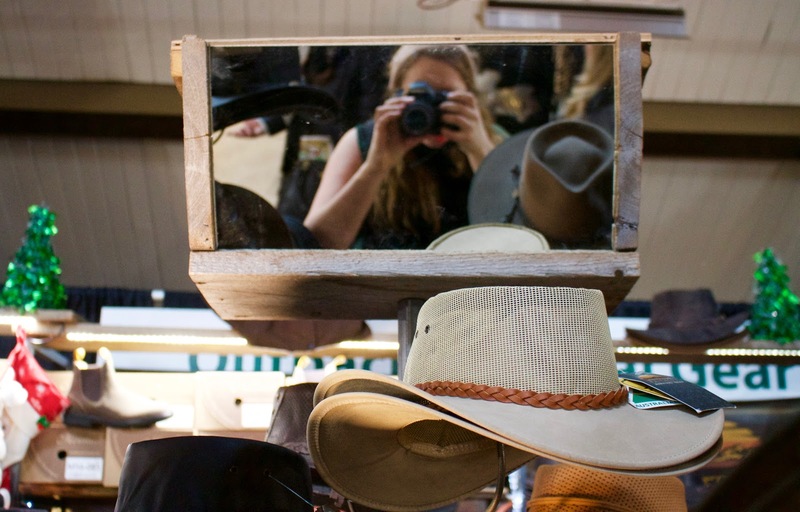 At the market, there are more than 250 Artisan vendors that come from as far as Quebec and Nanaimo. 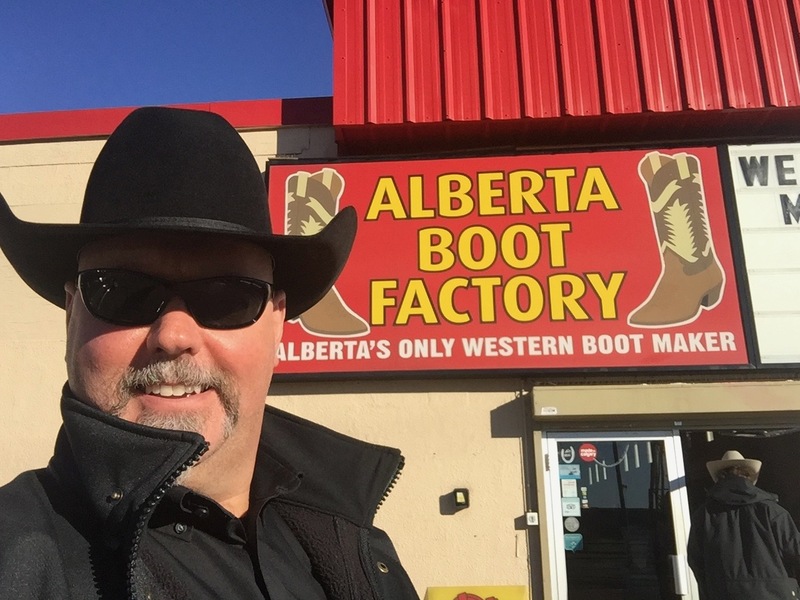 They all make their annual pilgrimage to Alberta's Prairie city to tap into the biggest opportunity offered by Canada's fastest growing city. Some consider the market as their significant opportunity for last-minute revenue before Christmas. Call it their Christmas bonus. The International Christmas Market is held over three weekends. This year it is November 18-20, November 25-27 and December 2-4, 2016. There were many familiar faces at the market. They are the vendors we've met during our year of covering the area's Farmers' Markets. It is encouraging to see so many of the local producers well represented. 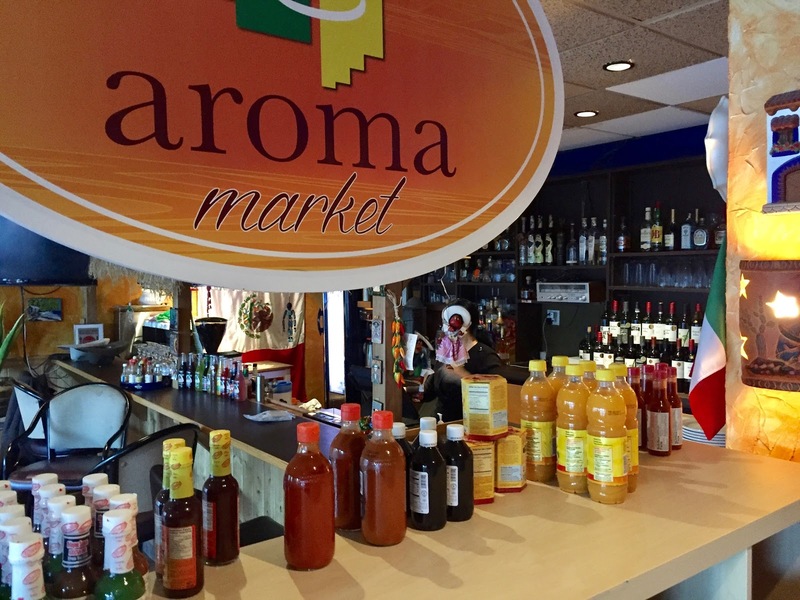 Some local producers use the market to launch a new product or new packaging. 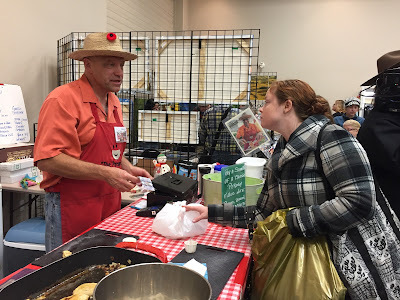 The agricultural producers like the cheese makers, beekeepers and maple syrup vendors, all bring their products to market after the year's good harvest. There were also new vendors that launched their products for the first time. 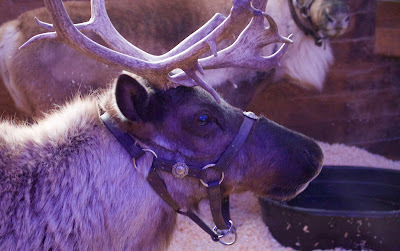 A Christmas market is a great opportunity for fledgeling producers to validate their offering. 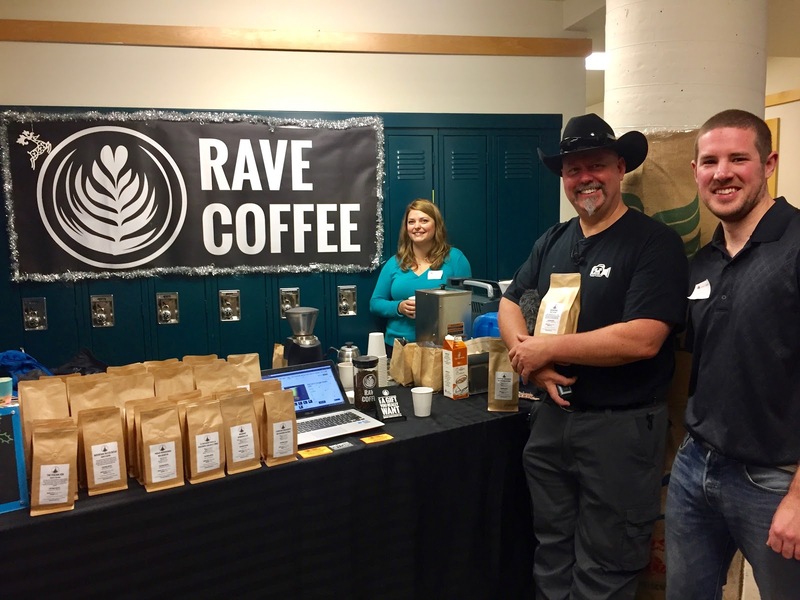 They can give prospective customers a first-hand taste or view of their goods and solicit immediate feedback. It is also they time when they discover just how much work goes into building their businesses. The Christmas Market is the perfect place to unwind with friends and soak up the festive atmosphere. It is the perfect place to shop, dine and socialise. It is a great opportunity to support our local producers. 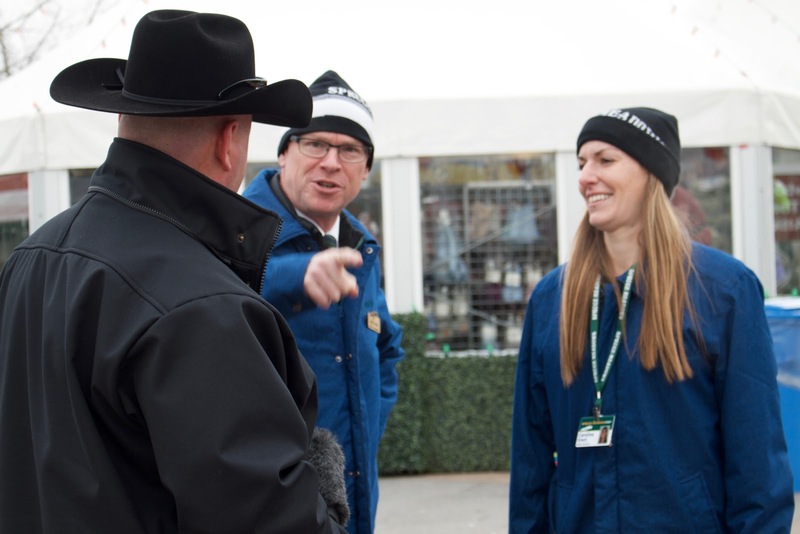 Spruce Meadows is the ideal venue for the market with lots of indoor space, the agricultural setting, and ample parking. 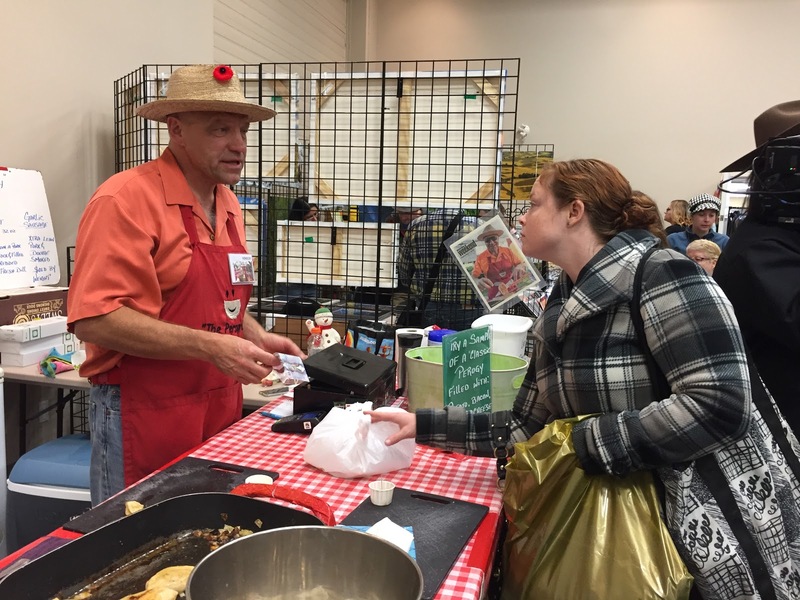 If there is one item missing from the market it would be our mobile food vendors we encountered all over Alberta's markets. We understand that the weather doesn't always co-operate to have food vendors outside. On the other hand, we've covered amazing food producers that will jump at the opportunity to help feed the thousands of visitors at this market. We are Canadian after all. Who is worried about a little cold? Calgary may not be the most optimistic city in Canada at the moment due to continuing economic pressures. The market showed little of the recession. While spending may be under pressure in the city, local production is up. People are making more things. Christmas cakes, gloves, chocolate, bags, cheese, perogies, woodcraft, shoe polish, and much, much more. If there are no readily available jobs in the city, there will always be enterprising folk that finds a way. The Spruce Meadows Market is such a way where you can bring your wares to market, and you can support your neighbour. We are glad we made the trip. We are glad we can meet our friends and neighbours at the market. Most importantly, we are glad that our money spent is going towards helping a neighbour grow his or her local business. According to evolutionary theory, competition within and between species for resources is important in natural selection. Life is about competition. People compete. Businesses compete. Regions compete with regions and countries with countries. Without competition, we won't be where we are today as a civilisation and an economy. Competition is good. It favours the agile, enterprising, and resilient members of society. The strong thrive by continually adapting and adjusting. We are talking about all kinds of competition. Not just the "fair" and "just" competitions. The rules are not always clear or referenceable. A large part of persevering in the heat of battle is knowing which rules favour survival and prosperity, and which do not. The "favouring" rules serve as catalysts for renewal and growth. The rules against competition contribute to the softening of a population, making it inflexible and complacent. Such a population is one step away from demise. Without the stronger members of our society persevering and growing through competition and sharing the value of their success, the survival of life as we know it may be at risk. Competition makes customer service better. If more businesses are after the same customers' spend, then customers benefit from increased focus on their needs, better pricing and more attention. It forces innovation. With more business going after the same reward there is an incentive to find better, faster and cheaper ways to deliver to customer expectations. Competition exposes strengths and weaknesses. With this self-knowledge, businesses have the opportunity to improve and grow. Competition opens up new opportunities and forces learning. New products and services are invented. New markets are discovered and opened thanks to the need of business to survive and grow. Everything businesses do every day against the constant backdrop of being in competition. By being in this mode, they often don't have a chance to take time out to reflect. The annual Westpac Business Excellence Awards provides a valuable opportunity to New Zealand businesses. It celebrates business success in New Zealand countrywide. It is also an opportunity for the competing business to learn, reflect and validate themselves with others. 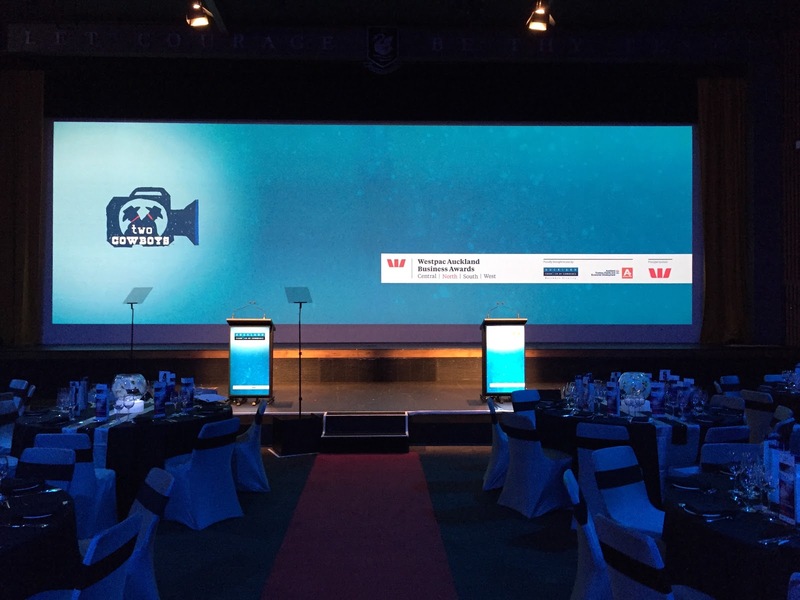 The Two Cowboys & A Camera took 11 weeks out this year to interview more than 180 people from more than 148 finalists, sponsors and judges, for the 4 Auckland regional award events. Just saying it is a mouth full. 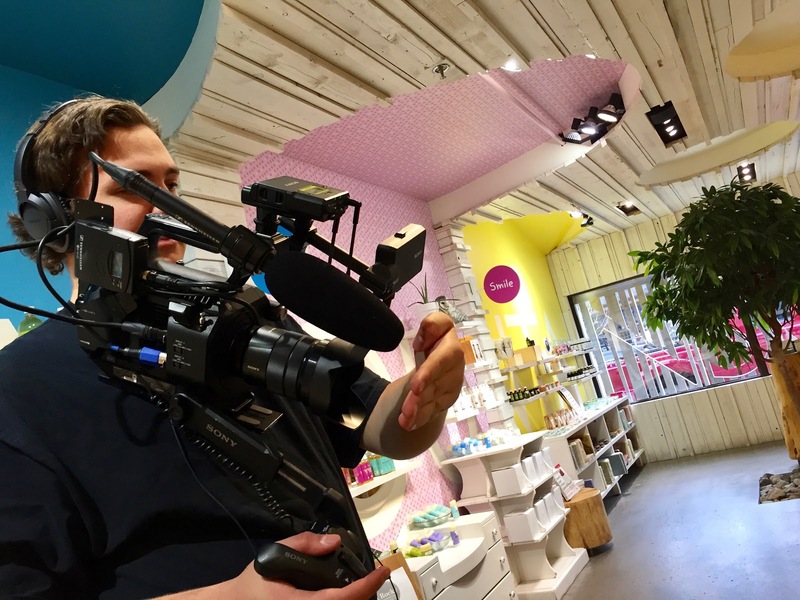 The real work was producing and packaging around 200 small video clips from this content for four high-profile gala events. It is an annual affair. 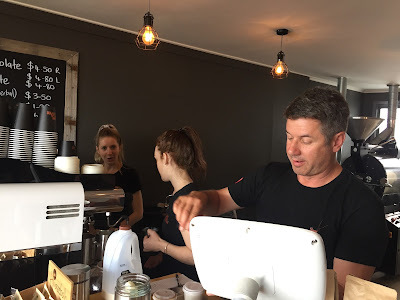 It is a marathon learning experience that allows us to meet and interact with some of Auckland's most progressive businesses. We cherish the opportunity every year. There were two takeaways this year. Firstly, businesses are relying more and more on social media resources to market and engage with customers. Some industries are adopting faster than others. It is top-of-mind for everyone. The businesses that thrive incorporates video into their strategy. The second realisation is the rise of the "Social Enterprise". Since the Two Cowboys are on the forefront of making this our contribution to our stakeholders, it was encouraging to see that more and more businesses recognise the capacity they have for investing in social capital or cause as a force in their business strategy. Companies realise that they have a responsibility in their industry and their community that goes beyond shareholder value creation. Enjoy the video with us about the highlights of this year's awards. A big thank you to the Auckland Chambers of Commerce for permission to produce and publish this amazing adventure. There are many practical reasons for covering your head. I am told by Paige Callaway from Paige 1912 that people are finding more reasons to start wearing hats. The most obvious reason for wearing a hat is to protect yourself from the sun. Some people stay dry in the rain because of their hats. We know in New Zealand an umbrella is a worthless idea. It rains a lot, and the wind howls most of the time. Umbrellas gets destroyed. Hats work better. With no hair on my top, I prefer wearing a hat in New Zealand for both rain and sun. A safety hardhat is standard attire on construction and industrial sites all over the civilised world. Many countries make it a law that workers must wear hat protection for safety. The most important reason why a person would wear a hat has little to do with practicality and everything to do with identity and association. This still seems to be the most fertile frontier for hat designers and manufacturers. For example, hats play an important role in religion. The rules around hats are endless. Must have a hat on. Must not have a hat on. Must cover your head. Must not cover your head. For example: "A shtreimel (Yiddish שטרײמל, plural שטרײמלעך shtreimlech) is a fur hat worn by many married Haredi Jewish men, particularly (although not exclusively) members of Hasidic Judaism, on Shabbat and Jewish holidays and other festive occasions." 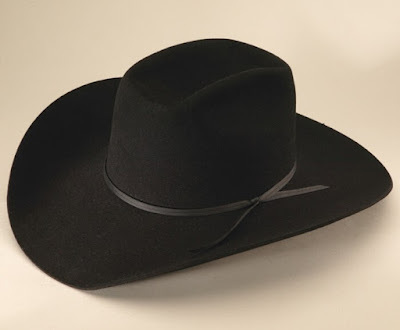 (Wikipedia) The same goes for a baseball cap, cowboy hat, and fedora. The list is endless. There are countless written and unwritten rules about which type of hat, when, where and how to wear it. It is safe to say that a hat is a very personal item. It helps you to associate, and it helps you to differentiate. No two hat wearers wear a hat the same way. The simple way you wear your hat can speak volumes about your personally and outlook in life. It sends off non-verbal signals that are interpreted at a subconscious level. We checked in with Brian at Smithbilt for our second instalment of this great business. We needed to get our hats serviced and also to learn more about caring for them. While there, Brian demystified the bunkhouse roll for us. No, not that kind of roll you do after a hard day of work and a few bourbons. Rather, it happens when your hat's shape changes and it curls at the back or the edges. The reason? Hats have a memory. It takes the shape of how it is used. Always “rest” your hat with the crown on the bottom. The crown is stiffer than the brim and tends to hold its shape better. If you lay your hat flat on the table the edges curl. It is prone to happen more in warmer and humid weather (heat is used to shape the hat). This is if you must rest it. Your hat should rather be on your head. There is another reason you must store your hat with the crown at the bottom. "Else, your luck runs out." according to Brian. Well, there you have it. 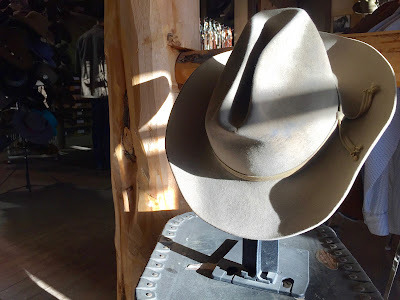 Simple things to do to look after your hat and your future. 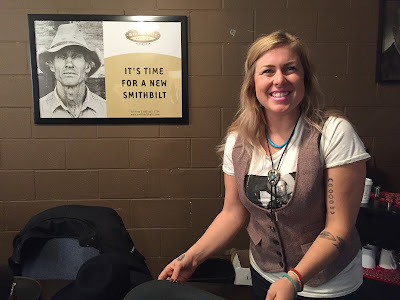 We've had enquiries from as far as South Africa on how to get a Smithbilt hat. Brian is old-school. He likes to have your head with him when he sells you a hat. It has something to do with him helping you with your personally and with sizing. 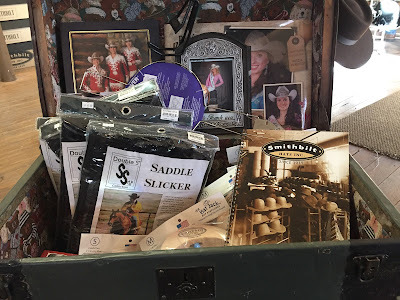 However, if you cannot make the trip, you can order it online and keep your fingers crossed you've chosen the right one: Do it here: https://smithbilthats.com/home/shop/. 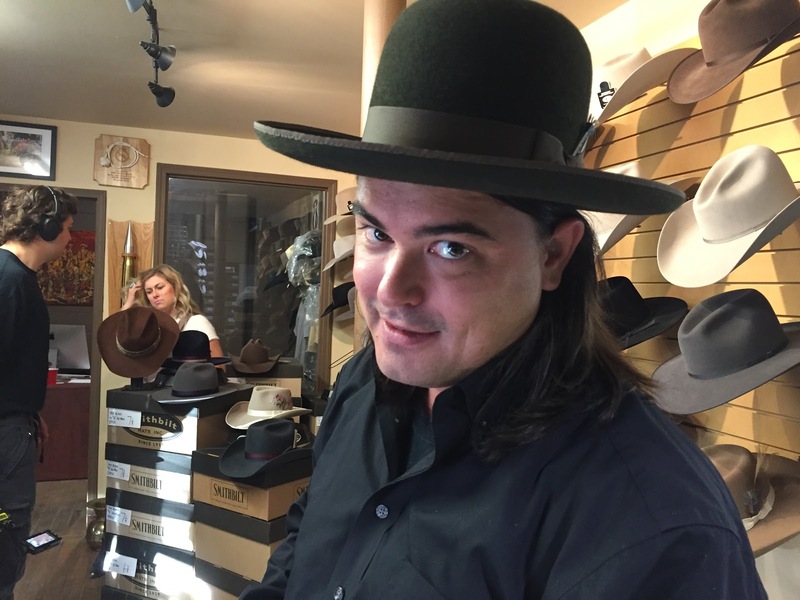 He provides great after sales service because as you know: A hat is for life! Brian introduced us to the next generation of Hatters. Paige Callaway of Paige 1912 is collaborating with him to come up with a new line of more "fashionable" hats that should appeal to the younger more trendy generation. They appeal to us, and we are not young or trendy. Stay tuned for more about this young designer. We like what she is doing to revive the old and refresh it with new designs in hats, shirts and other wearables. 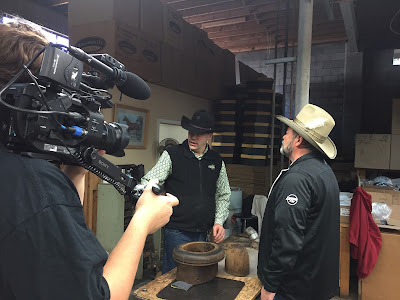 Smithbilt is now the official hat sponsor for the Two Cowboys & A Camera. Thank you to Brian and his team for making us look good. If you are keen on a Smithbilt Two Cowboys style hat, drop us a line. We have one to give away to a person we like. Comment on our Facebook page and let us know why you deserve to wear our hat: https://www.facebook.com/profiledproductions. We are all for markets in our local communities. In Okotoks, the people are too. 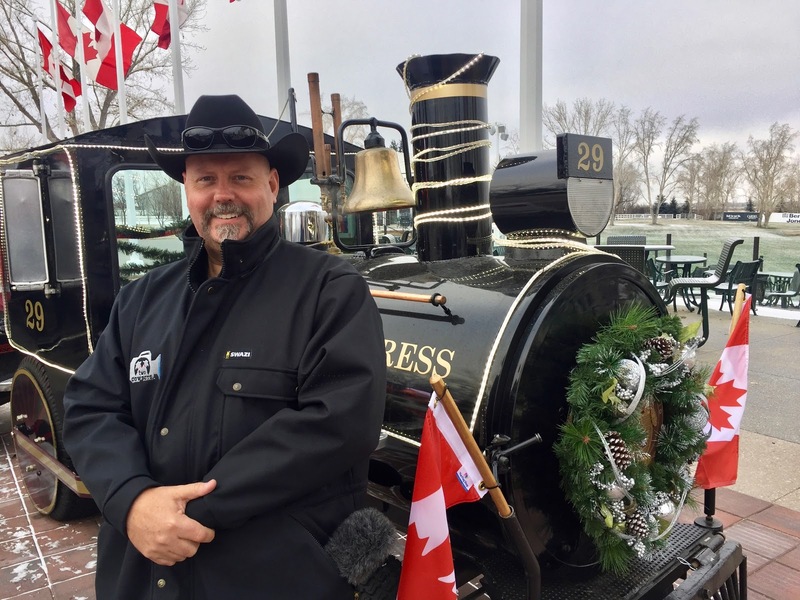 Andrea Wilton-Clark and her team at Okotoks Market Square found another excuse to bring together 135 vendors and thousands of people over the past weekend to prepare for Christmas in the traditional way: By shopping! It is shopping with a difference because it is shopping locally with artisans. These are people that make things in their barns, their basements and sometimes in their living rooms. You won't find their products in retail stores because, most of what they do costs so much to make that they simply cannot part with the little profit that is left. This is not a bad thing at all. Let me explain. Artisans make their products with good quality, high-end materials. 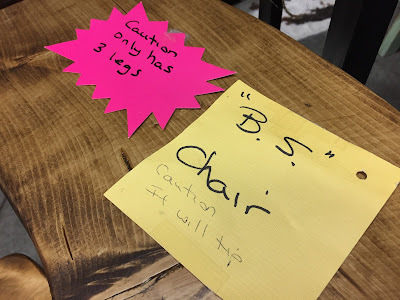 They engage with their customers personally. There is simply no way that you can sell something if you know it is not of quality. Your friends, your family and your community support you. That is why you, the consumer is assured of the best possible product when your local Artisan makes and sells you something. They have to face you personally and stand up for their product. There is another difference. 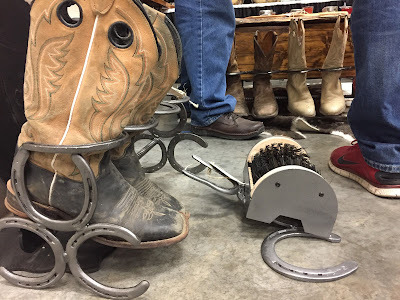 What you buy is often unique, one-of-a-kind items. Even if it looks similar, every item is lovingly crafted by hand and comes with something a little extra: A bit of the Producers soul. Lastly, if it breaks and needs repair, is finished and needs refilling, or must be replaced because it simply managed to make it to its end of life, then you can always look up the master maker. The person who's hands crafted you your favourite item or product is the best person to help you get it back in working order, refilling your jar, or replacing it with the next generation hand-crafted model. That is why we shop at our local markets. That is why we appreciate the things our Artisans made us. I must confess. 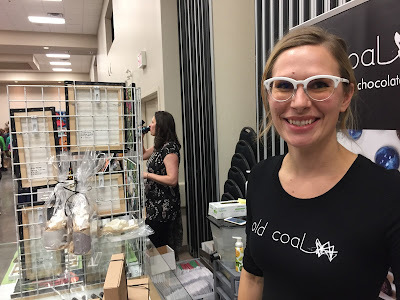 I didn't know just how lively the Artisan maker scene is in Okotoks until I started to do a bit more research about Andrea's endeavours at The Market Square. 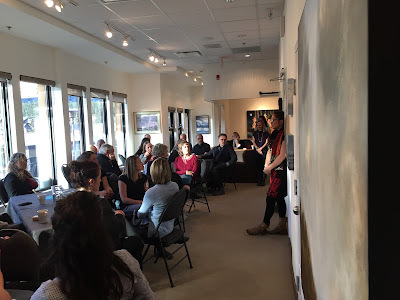 Okotoks MarketSquare was established by Adriana Bratu and Andrea Wilton-Clark in 2010 with a vision to create regular community events and to bring better exposure to local artists, artisans and small businesses in the region. MarketSquare's first event was a small cluster of local vendors showcasing unique products with local musicians entertaining the crowds on a grassed park area in downtown Okotoks. The events quickly grew in size and popularity. Today MarketSquare offers five major market-style indoor as well as outdoor events and works with over eight hundred locally based vendors and small businesses. The online directory makes it simple to connect with vendors before as well as after events. Andrea is also publishing articles on the site to tell the stories of our local artisans to bring continuous attention to them throughout the year! Soon you will find more videos as well courtesy of the Two Cowboys & A Camera. We applaud her and her team. 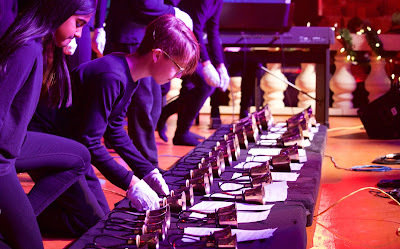 We look forward to featuring more of their events. Most importantly, we look forward to meeting more of the Artisans that make it possible for Andrea and us to do what we do and for you to get something of quality made locally. If you've been following the events of the past year and knew about the demise of the Canmore Business and Tourism (CBT) (see the video here) you will think that the voice of business in the town of Canmore is no more. Let's find out. 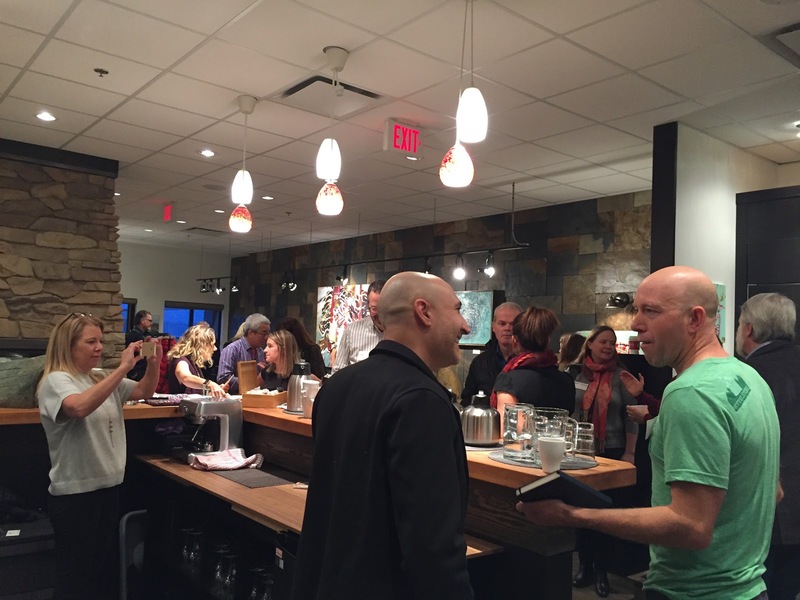 We've attended a recent gathering of some of the town's business folk at an event referred to as "Conversation Cafe". It is a continuation of one of the CBT initiatives. Since the demise of CBT, it is spearheaded by Stephanie O'Brien of Carmella Consulting. We wanted to find out what they have in mind to get an organisation off the ground with the goal of representing the interests of businesses in the town and in the rest of the Bow Valley. It is accepted that businesses in the Bow Valley will do well with a unified voice. Something like a Chamber of Commerce. However, we've discovered the valley is already a crowded place for voices professing to be speaking on behalf of business. 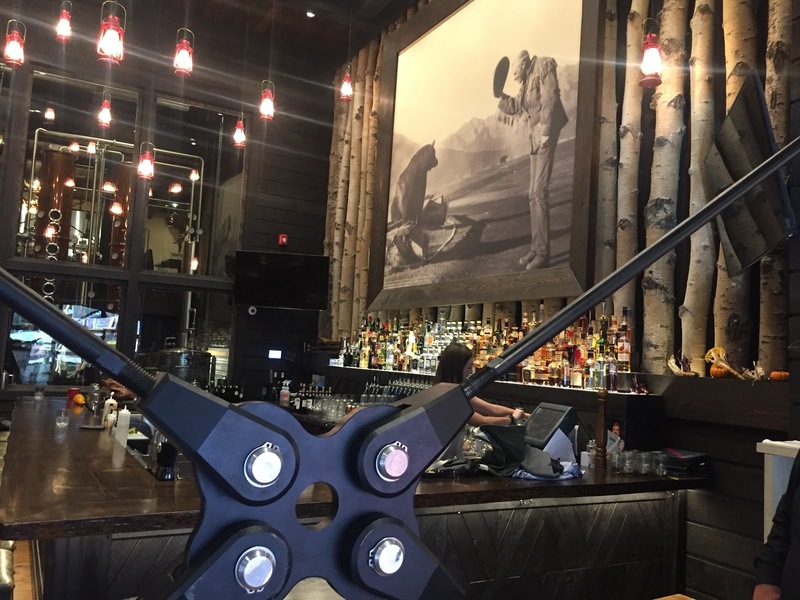 There is the Bow Valley Builders and Developers Association (BOWDA), which is a membership driven networking and advocacy group focused on the needs of the building & development industry in Canmore and the Bow Valley. Membership according to their website is at 210. 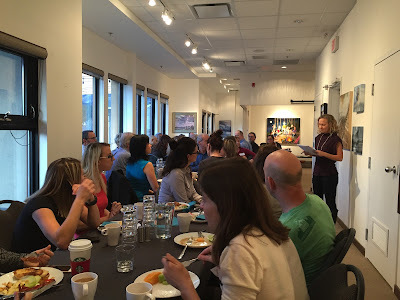 There is the Canmore Downtown Business Association. The Canmore Hotel and Lodging Association represent more than 65% of the Canmore and area hotel and lodging properties. 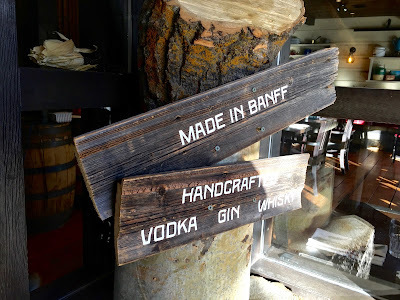 Then we have Banff where you will find organisations such as the Banff and Lake Louise Hospitality Association and the Banff Hospitality Collective. The Banff Hotels Association and the very well funded and high profile Banff Lake Louise Tourism destination marketing organisation. I've not even touched Google to find out if there are any other Associations, Organizations, Collectives, Lobbyers, Investors, Benefactors or Instigators around, which may also profess to represent the interest of "businesses in the Bow Valley." Back to Stephanie and her group of supporters for a Bow Valley Chamber of Commerce. Suffice to say; the group has their work cut out for them. Getting a Chamber of Commerce off the ground may be a noble idea, but it may not be as easy as they may think. Others have tried before. It is our opinion that to have Chamber of Commerce succeed in the Bow Valley, all the various organisations that profess to represent interests of members or taxpayers for destination marketing, will have to come together to support the initiative. Keep in mind that many of these organisations are already well established with a solid track record for their membership. A newcomer to "furthering the interest of businesses" may not be as welcome as everybody thinks. Add to this that the local councils of these towns already have their hands full with balancing competing agendas from all directions and interested parties. An effort to herd cats sounds like a more feasible endeavour. Without all round buy-in, the initiative is at risk of being a "filler" organisation. With "filler" we mean that the organisation will try to represent businesses overall, but end up representing the unrepresented instead. The effort will also require a strong, respected and inclusive leader from the Bow Valley. A person revered in Banff and Canmore. Someone who can broker cooperation between all the business associations and still succeeds to motivate affiliation with yet another "uber" organisation: A Bow Valley Chamber of Commerce. If you are this leader, then the time is now to step forward. 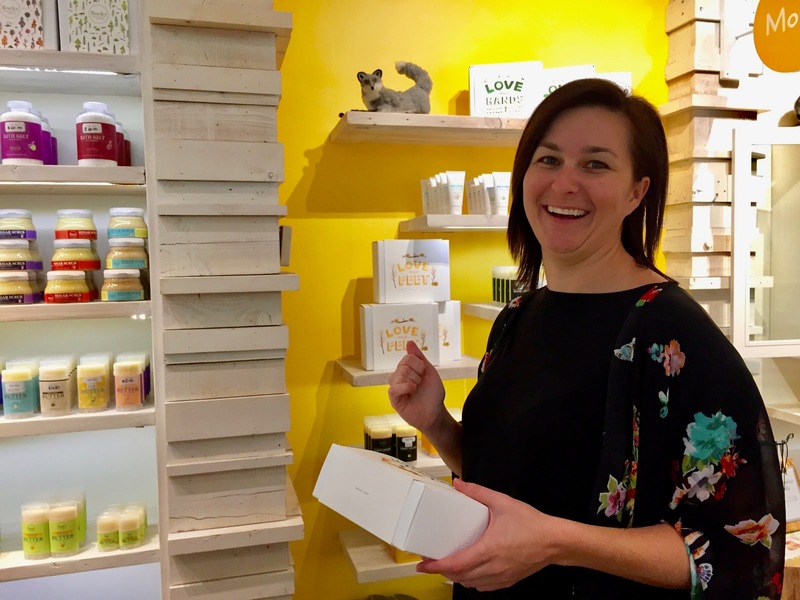 We applaud the enthusiasm of Stephanie and her collaborators as we continue to follow the journey to establish a strong voice for all businesses in the Bow Valley and in particular: Canmore, Alberta. If you are like me, with family members that have everything they desire, then you will know how hard it is to do Christmas shopping. Every Christmas I tease them that all they will get this time is socks and soap. This year I should make good on my promise. Thanks to Cam and Karina at the Rocky Mountain Soap Co. I may get away with it. 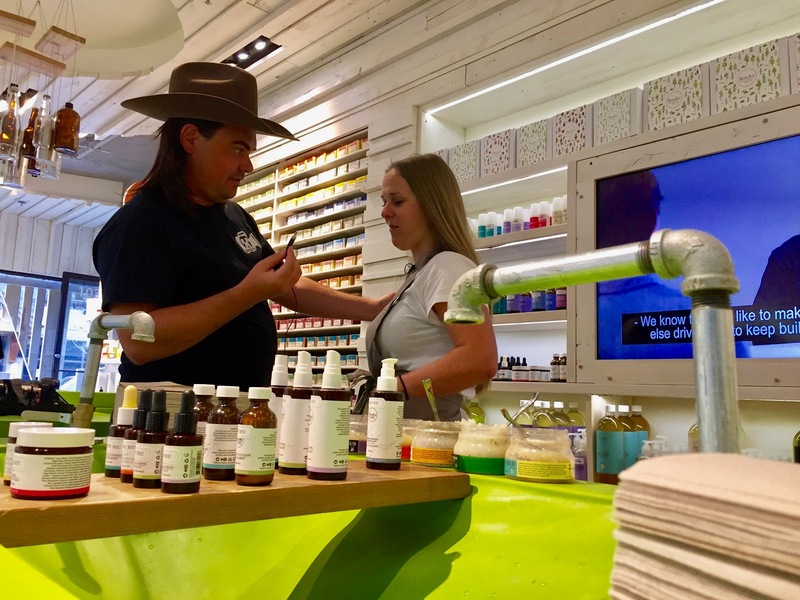 We checked in with Rocky Mountain Soap Co for another instalment of cleanliness in the Bow Valley. We wanted to find out what is available for Christmas to make shopping easy, natural and healthy. 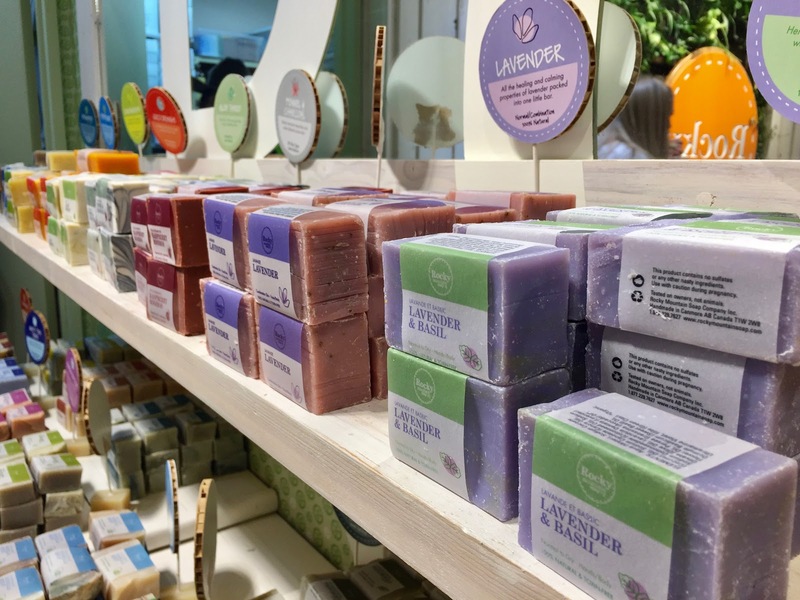 Because we are also about understanding and promoting good businesses, we wanted to know what is new at the Rocky Mountain Soap Co. business end. If you haven't been introduced to the business, have a look here. 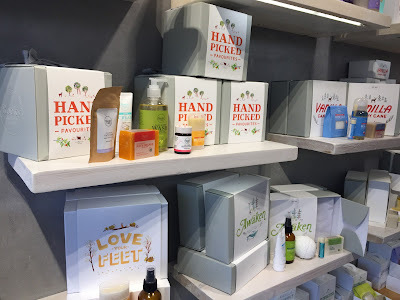 Cam Baty, the co-owner updated us on two recent developments at Rocky Mountain Soap. Firstly, there is a focus on reducing the complexity of the products with fewer ingredients. Second, is to explore more environmentally responsible packaging. In both of these cases, it makes good business sense and aligns with the values of the people that buy and use their products. Fewer ingredients require fewer manufacturing steps. The inputs to the processes are reduced. Correspondingly, it reduces risk and simplifies operations. A simpler process requires less labour and has a direct impact on the cost. Words such as "hand-made", "lovingly crafted" or "artisan" are often used as marketing speak to position a brand, but is a far cry from what really happens (or should happen) in manufacturing. The reality of any manufacturing operation is that it must strike a fine balance between putting out great products that customers love and doing it for a reasonable return. Else, there is no point in doing the business. Sometimes it can only be done by hand. In other cases mechanizing an operation is the way to deliver consistent and good affordable quality. In both cases, keeping things simple is a win-win. When it comes to the good products of Rocky Mountain Soap Co. there is a benefit in fewer ingredients and keeping things simpler for our bodies. With a less crowded list of ingredients and no toxins, those that are present have the opportunity to come to their right to do the best job they can. You and I get to know what we are using when we use their soap, put on their sunscreen or wash our hair (for those of us that do have hair). Simple and good. The harder nut to crack is finding environmentally responsible packaging in the cosmetics industry. Soap in a bar is easy. You can simply wrap it in paper. It is not so easy when it comes to lotions, pastes and other viscosities. The industry hasn't solved those problems and plastic bottles and tubes are standard. We all know that this is a continuing problem that ends up in landfills, if not the ocean. Rocky Mountain Soap has been experimenting with a small paper container for their lip quench. See it here. They call it paper pots. While it is a more expensive option (for now), Cam believes it is the right way to go. More of their products may go the same way in the near future. We think it is the right approach too. Enjoy your shopping with Rocky Mountain Soap Company this Christmas: https://www.rockymountainsoap.com. At least we know we are going to have clean Cowboys in 2017.